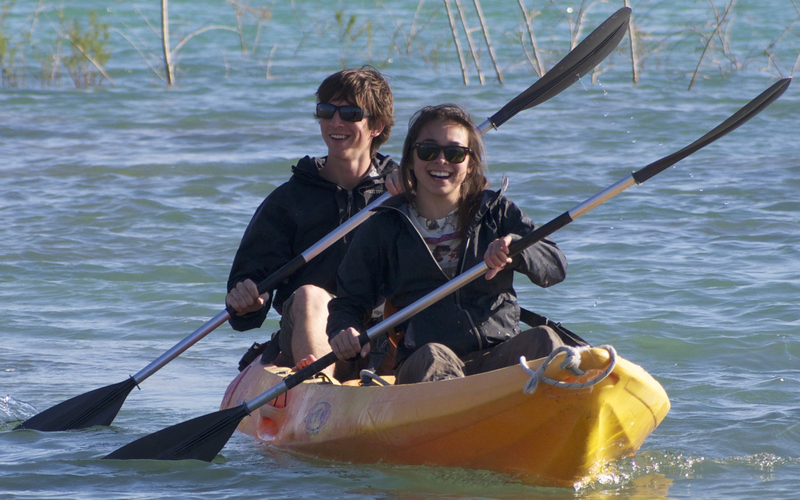 Kayak & Canoeing Excursions In Torrevieja, costa Blanca. Kayaking and Canoeing, An opportunity to take in the impressive views of the surrounding Vega Baga mountains from the clear, blue waters of the 'Embalse de la Pedrera'. With single, double and family kayaks available, and even an electric motor boat, you have the freedom to explore the stunning waters yourself. With a half day to spend, there is the potential to enjoy lunch on the lake shores, take a dip in the water, or wander the beautiful surroundings. Evening excursions are something not to be missed, including the perfect view of a sunset over water. All ages and abilities are welcome. Children must be accompanied by adults and life jackets are provided. To book Kayaking and Canoeing you will need to fill out the booking form below.